For decades now, employees of Desjardins have been able to hop on one of the company’s shuttle buses to commute between its offices in Montreal and Levis, Que. The shuttles, which are decked out with space to work at laptops, make nearly 800 trips per year, carrying close to 20 employees each time. Desjardins estimates that if those people were to drive on their own, close to 600 tonnes of greenhouse-gas emissions would be released. But those annual emissions savings weren’t enough for Desjardins. In the last couple of years, it has been putting a big push on alternative transportation in an effort to further cut its environmental footprint. Some of the emphasis has shifted from buses to bikes. The financial institution, which has 42,500 employees in Canada, has offered staff 50 per cent off the registration fee for the BIXI bike-sharing program along with workshops on tuning up a bike for people who use their own. It has also given out free three-month passes to try public transit, held regular draws for free bus and metro passes, and created a company carpooling program. Along the way the cooperative behemoth has notched a 30 per cent improvement in its energy productivity ramping revenue per gigajoule of energy consumption from $5,144 (U.S.) in the 2011 survey to $7,187 for 2012. But if this was all that Desjardins was doing, it wouldn’t matter that much, as a financial institution makes its central impact on society via its financial operations. And it is on this score that Desjardins rose above the pack to claim top spot among Canada’s 2012 Best 50 Corporate Citizens in Canada. For example, to assist customers who have run into severe financial difficulty and are often excluded from conventional credit networks, it offers free budget advisory services and “tide-over” loans of up to $500 that can be paid back without interest over 24 months. Small businesses can tap into microcredit. Homeowners can take out green mortgage loans to pay for energy-efficiency retrofits. For customers who purchase fuel-efficient vehicles, such as hybrid-electrics, Desjardins offers discounts of between 10 and 15 per cent on auto insurance premiums. It also offers low-cost home insurance to low-income earners. Its socially responsible mutual funds, meanwhile, have seen a doubling of assets under management to $506 million in 2010, up from $259 million a year prior. Progressive actions are also visible at the board and management levels. Desjardins now boasts one of the lowest differentials between CEO compensation and average employee pay. It has also bolstered its standing in the rankings by linking executive compensation to the achievement of sustainability-related performance targets and growing the proportion of women on its board. Desjardins was founded by Alphonse Desjardins who, in the final years of the 19th century, had a job as a French language stenographer in the House of Commons. In Quebec at that time the banks concentrated on wealthy individuals, and at work one day Desjardins heard a member of Parliament talk about how regular working-class people were being charged interest rates of up to 3,000 per cent. That inequity led him on a quest to find a better solution for average people who needed to tap into finance. With more than $190 billion in assets, Desjardins is now the biggest financial institution in Quebec and the biggest cooperative financial group in Canada. It is made up of a network of financial services cooperatives, including credit unions, life and general insurance companies as well as securities, venture capital and asset management businesses. It has 5.6 million members and its profits prior to paying out dividends to its members amounted last year to $1.58 billion. Leroux says that innovation at Desjardins comes from decentralization, with employees at each of the company’s 450-plus caisses contributing ideas. Although her pay package, at nearly $2.1 million, is still 33 times that of the average staff member at the company, it’s one of the lowest ratios among the companies included in the Corporate Knights survey. 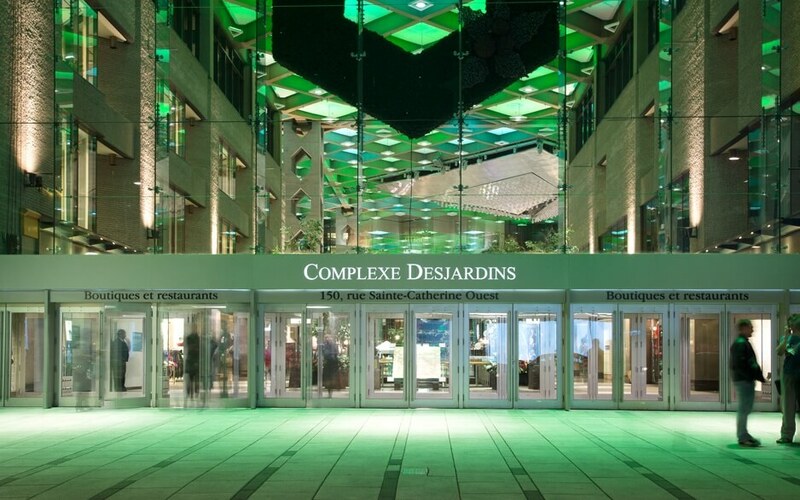 Desjardins, which has both unionized and non-unionized employees, has a pay equity policy based on the principle of equal pay for equal work. “It is important for employees to have a comparable salary and remuneration,” Leroux says. Desjardins has chosen to continue offering its employees a defined benefit pension plan at a time when many firms are abandoning the costly retirement vehicles. 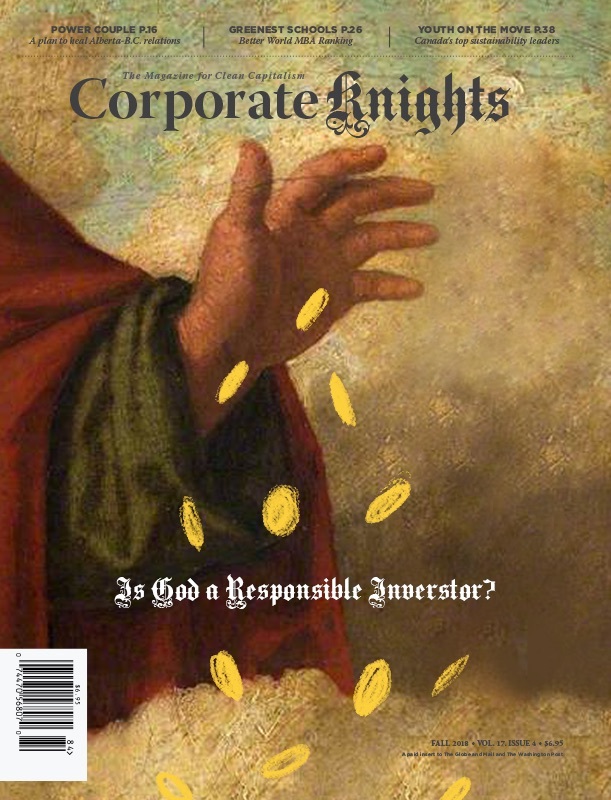 The plan’s funding status actually improved since the last ranking by Corporate Knights, rising by four percentage points to 70.5 per cent funded. And the compensation of some executives, such as Serge Cloutier, executive vice-president of cooperative development and democratic governance support, is tied to sustainability targets. As a result of governance changes, Desjardins’ board of directors is now nearly half women, and the company still has further goals when it comes to improving the diversity in its ranks. This year it formed an advisory committee of 25 elected officers to discuss the evolution of governance. “It’s a question of having the right mix of people in the ranks of the top management,” says Leroux.